Through supports groups and livelihood programs, Unbound supports the hard-working parents of sponsored children around the world to help them develop their natural talents, so they can create sustainable sources of income to support their families and work their way out of poverty. Charito is the mother of two sponsored children in the Philippines. She is part of an initiative that uses the water hyacinth (water lily), which grows in abundance near her community, to create a plant-based leather substitute. They use it to create a variety of products, such as shoes, bags, folders and backpacks. Charito is in charge of drying and cleaning the plants after they have been harvested by scraping off extra fibers, which she is doing in the photo above. Ambrocia learned how to embroider when she was just 10 years old. 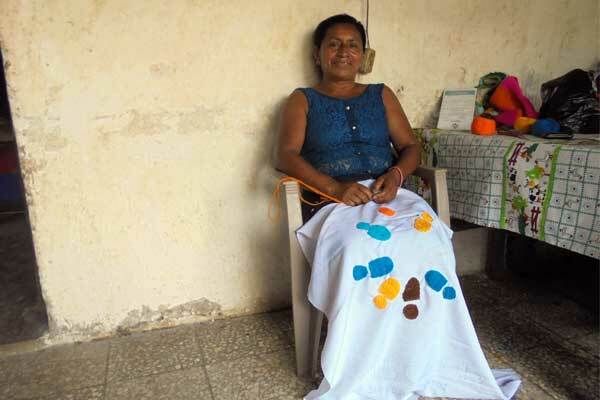 At the age of 47, this Guatemalan mom is using the skill she learned all those years ago to support her family. Read the rest of Ambrocia’s story. John is a father of eight in Uganda. His daughter Christine is sponsored through Unbound. 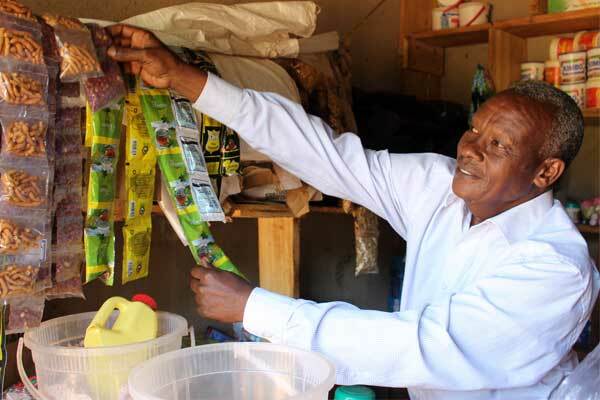 To support his family, he took loans from the Unbound parents group he participates in to open up his own store. Read the rest of John’s story. Meena is the mother of sponsored child Khushi in India. 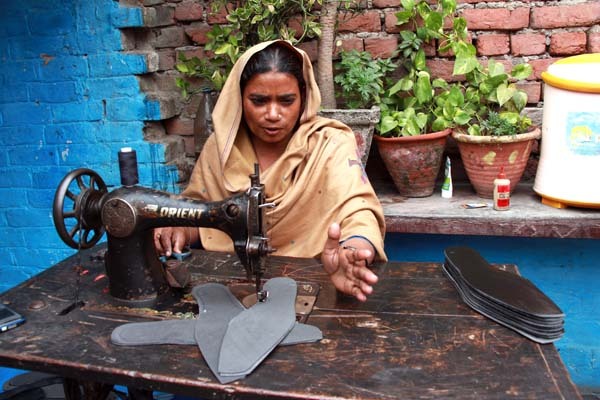 Meena sews the soles for shoes and sells them to shoemakers in the wholesale market. She participated with other mothers in a training program to make shoe parts and provide income for their families. Bolivian mom Yolanda studied pastry making and worked in a bakery before she married her husband, Juan. After they had their daughter, Carmen, Yolanda focused on being a mom. 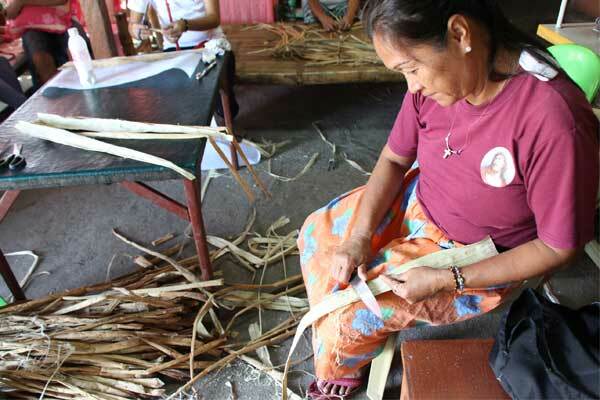 As Carmen got older, Yolanda started her own business to cover the cost of Carmen’s education. Carmen was also sponsored through Unbound, which provided additional assistance. 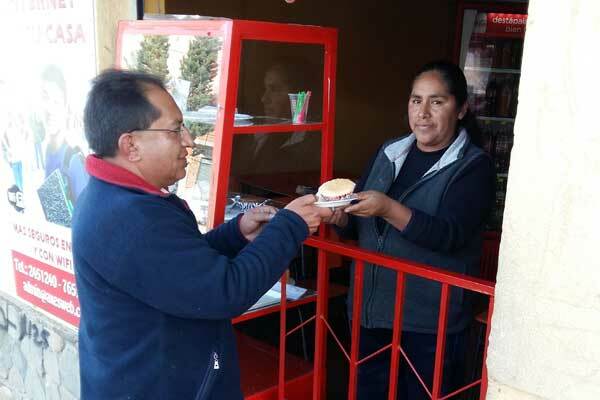 In this photo, Yolanda is selling a pastry to Angel Flores, an Unbound staff member. Support the hard work of parents around the world through sponsorship.